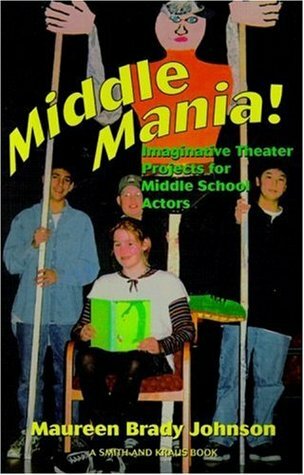 Middle Mania is a compilation of interactive, collaborative projects written for middle school teachers who spend a good part of their summer sifting through piles of plays in search of the perfect production to do with students. Middle Mania! offers many creative alternatives that are "drama healthy" for kids, providing every student with a chance to get involved. The proMiddle Mania is a compilation of interactive, collaborative projects written for middle school teachers who spend a good part of their summer sifting through piles of plays in search of the perfect production to do with students. Middle Mania! offers many creative alternatives that are "drama healthy" for kids, providing every student with a chance to get involved. The projects challenge students to stretch their imagination while giving shy students a chance to build self-confidence. These projects introduce the exciting possibilities drama can provide, while building a friendly community atmosphere.